The Defense Shield case from X-Doria starts from a solid block of metal, machined to the finest detail to create the ultimate Samsung Galaxy S9 case. 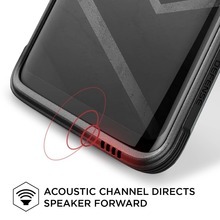 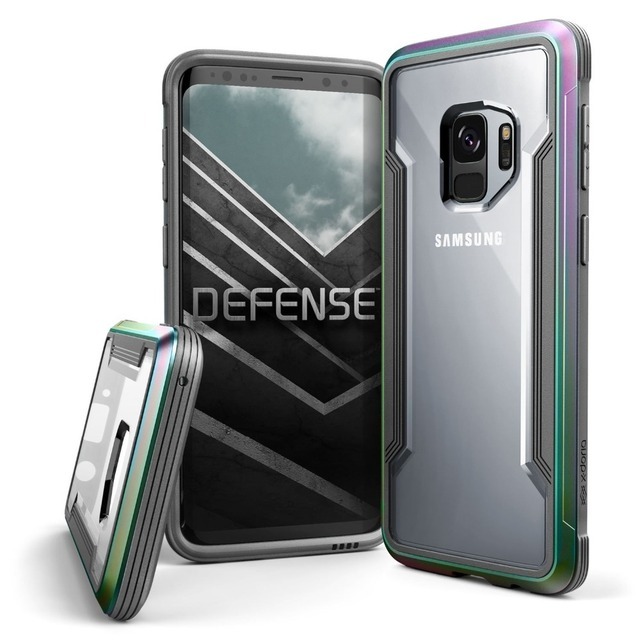 With the use of CNC machines, the aluminum bumper of the Defense Shield allows this case to fit your slim Galaxy S9 with ultra-precision, giving it Military Grade Protection, without covering up your device or weighing it down. By combining the aluminum bumper with the clear polycarbonate back panel and soft rubber interior, the one-piece construction of the X-Doria Defense Shield is simple to install with no tools required. Not only does the case snap on with ease, the quality construction will save your Galaxy S9 phone from any drops, dings, and impacts it may encounter. The Shield exceeds the MIL-STD-810 test, a United States Military Standard that tests products to conditions it would encounter throughout its lifetime. 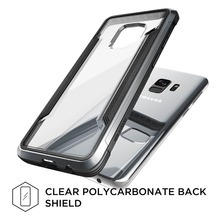 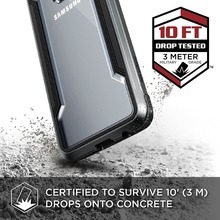 This means your Galaxy S9, protected with the Defense Shield, can withstand drops of over 6.6 feet (2m) making it one of the most protective Galaxy S9 case on the market.